Public artworks offer opportunities for cultural engagement and social exchange. Folkestone Artworks, the UK’s largest free and accessible outdoor contemporary art exhibition, expands for 2019, offering 15 new installations. The works are located in unexpected spaces across the town, some of which have been repurposed from disused and neglected sites. This creative regeneration invites communities to reflect upon the changing landscape. Richard Woods, Holiday Home, 2017. Part of Folkestone Artworks, commissioned by Creative Folkestone. Image by Thierry Bal. Audiences can discover 45 works by renowned names such as Antony Gormley, Bill Woodrow, Lubaina Himid, Nathan Coley, Cornelia Parker and Tracey Emin. 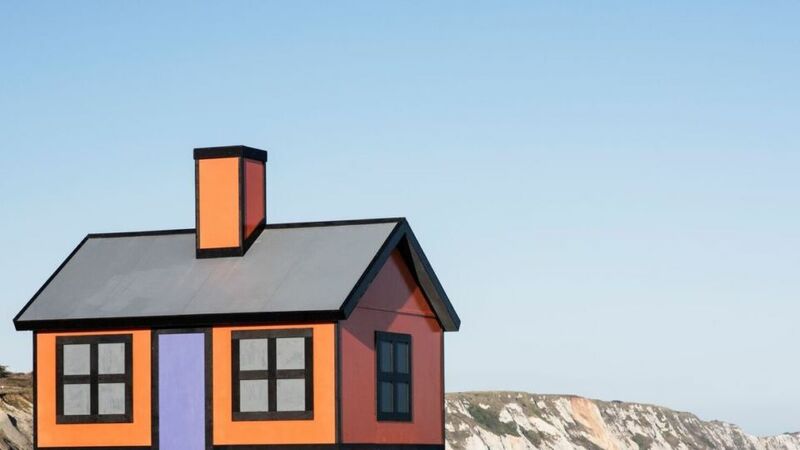 Featured here is Holiday Home by Richard Woods, whose architectural pieces are characterised by vibrant colours, bold lines and a cartoon-inspired aesthetic, and Heaven Is A Place Where Nothing Ever Happens, Nathan Coley’s illuminated text sculpture. Opening 27 March. Find out more here. Lead image: Nathan Coley, Heaven Is A Place Where Nothing Ever Happens.Folkestone Artworks is commissioned by Creative Folkestone, UK, creativefolkestone.org. Nathan Coley’s The Same For Everyone is playful yet profound, foregrounding Danish values whilst evoking the beguiling lights of a fairground.